The Modern Workplace: Is That Contractor Truly “Independent?" Is That Contractor Truly “Independent?" In Minnesota, a proposed bill is now working its way through the legislature that, if enacted, would make it significantly more difficult for a worker in the construction industry to qualify as an independent contractor, rather than an employee. The current version of this bill includes new, detailed, and restrictive criteria for qualification as an independent contractor. The new criteria proposed include, among other things, that an independent contractor must maintain a separate business with an office, equipment, and materials, and must incur the main expenses related to the services performed. The bill would also require that an independent contractor must receive compensation on a per-job or per-bid basis, or in the form of commissions. Employers must be mindful of all sorts of legal considerations when deciding whether to classify a provider of services as an independent contractor or an employee. 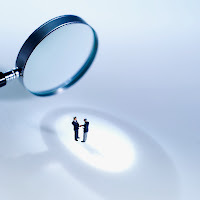 The liability that may result from an incorrect independent contractor classification has led some companies to undertake comprehensive audits of those relationships, which can be provided by outside firms or companies. In the eyes of reviewing authorities like the Department of Labor and the IRS, control is the key factor in determining whether a worker is an independent contractor or an employee. What is said in a company policy or independent contractor agreement about the relationship between company and service provider matters far less than the details of day-to-day control. The proliferation of electronic communication in the workplace, including the ever-increasing volume of and access to email and text messages, makes it easy for a company to micromanage the “how, when, and where” of a contractor’s activities. By doing so, the company erodes the contractor’s independence and creates evidence of control. That, in turn, increases the likelihood that the worker will be determined to be an employee by government authorities. The overall take-away here should be that businesses must carefully define contractor relationships, and -- even more important -- monitor actual, day-to-day contacts with the independent contractor. Steps must be taken to ensure that company managers do not give in to the urge to control the activities of a contractor who is legally required to be “independent.” As for the proposed legislation, it appears to be gaining traction in the Minnesota Legislature and is a bill for employers to watch.